Sign up for Broadjam today to follow Ben Pridgeon, and be notified when they upload new stuff or update their news! I grew up in the tiny town of Sylvania, Ohio in the late 60's and early 70's. We were close enough to Detroit to drink in the Motown sounds of CKLW on the AM dial while we listened to FM radio evolve through its experimental years. Raised in a musical household, this left me with an open mind toward musical arrangement and production. This upbringing has allowed me to not only perfom and tour as a sideman for a variety of artists but also do what I love most: compose and arrange music for wide ranging applications. 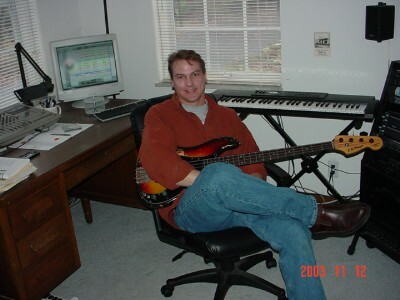 I have done composition and production work for independent films, radio and TV spots. I've released a CD to accompany a book, and even composed live perfomance accompaniment for silent films. My music is not directly related to the Motown Sound or the early FM radio movement. It just displays the diversity and inclusiveness of the musical environment in which I was fortunate enough to have spent my youth.